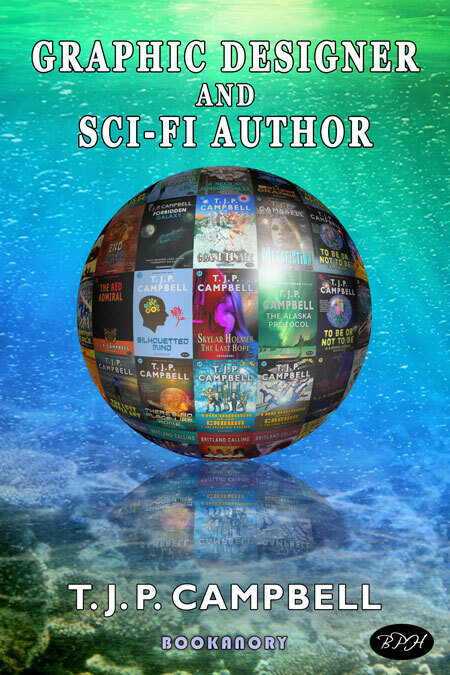 T. J. P. CAMPBELL started as a self-employed full-time author on the 26th January, 2015. He is a writer from the UK (Cambridge). He has at least 15 years of writing full-time on fiction. He writes mainly sci-fi novels for young adults and adults (often cross-over material). He sometimes does other genres for variability. He also writes for younger teens, as for example his The Londoners series (a sci-fi/fantasy/horror adventurous modern day version of Enid Blyton’s Famous Five series). He also wrote the iconic Pride and Prejudice and Superheroes, a sci-fi Regency period mashup. He’s written over 20 fiction books, and drafted another 30 or so. Although he mainly writes sci-fi, he sometimes ventures into thriller, fantasy and horror genres. He places a lot of emphasis on originality, quirkiness and characterization, and his adventures are a deep journey of the heart, mind and soul, as well as visceral and unique physicality. He also specialises in book cover design and interior book formatting/layout (ebooks and print books) through Bookanory Publishing House (BPH), the company he set up in January 2015. He sometimes does proofreading and editing on request.